This cocktail combines flavors of smoke, spice, and citrus. It begins with mezcal as the base spirit, which provides the smoky flavor. Spice and savory flavors are provided by Ancho Reyes Verde liqueur and a tomatillo, tamarind and hibiscus shrub by Calvit's. And the citrus of course comes from freshly squeezed blood orange juice. To round off the drink, I added a bit of burnt sugar syrup from Tippleman's and Aztec Chocolate Bitters by Fee Brothers. I also salted the rim of the glass with pink Himalayan salt. Enjoy the Desert Orange cocktail, which combines smoke, spice and citrus that takes advantage of blood orange season. Salt the rim of a rocks glass with the salt. Add a large ice cube. Combine the mezcal, Ancho Reyes Verde, shrub, juice, syrup and bitters in a shaking tin with ice and shake vigorously. Strain into the glass and add an orange wheel as garnish. 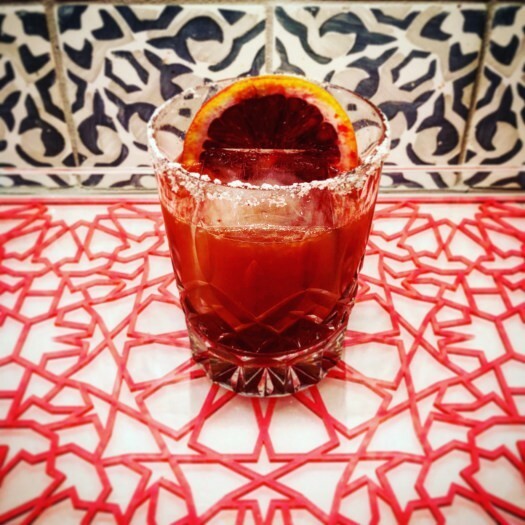 The post Original Recipe: Desert Orange appeared first on Capital Cocktails. Let me make you a drink - or take you out for one. 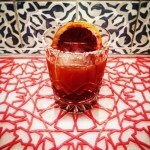 Sharing how I make drinks at home and where I find them.